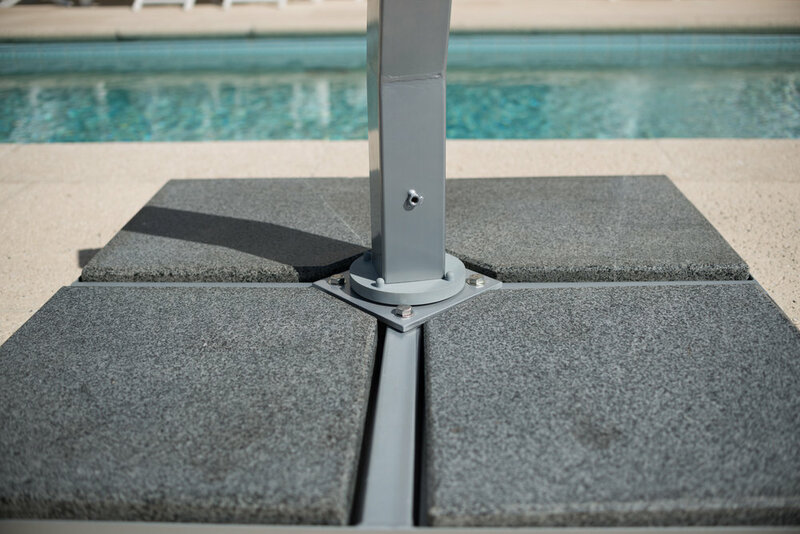 We offer a wide range of bases to suit any requirements. If the umbrella is free standing, the weight of the base is determined by the size of the umbrella as well as what wind conditions it may be exposed to. Please contact us for further information. Available in 3 weights: 65 lbs., 110 lbs. & 150 lbs.